Hi there, again! 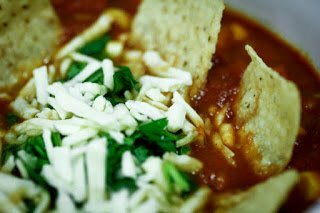 It's Brit from the Honeyville marketing team and this week, I'm back with a recipe for Tortilla Soup. I've never made it before but it's been on my radar for some time. Today, seemed appropriate for the dish: cold, windy, and overcast. I have to be honest with you for a moment. I don't really measure things when I cook or bake. My grandmother and mother taught me to eyeball things and season to taste. Everyone's taste buds are different so I'd advise you to season as you like and add whatever you want. Click more for the recipe! For the sake of this post, though, I made sure I wrote down how much of each item I used (😀). During my time with Honeyville, I've discovered how awesome creating with food storage is! It's so flexible. And one great thing to note is this can be frozen and saved for later. 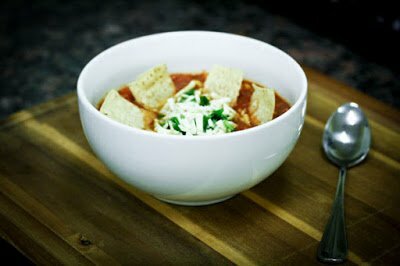 That being said, making soup is a great way to put your long-term food items to work. You can literally toss whatever you have on hand into a pot or a pan and create anything you desire. I adapted this recipe from one I found on All Recipes here. In a stockpot over medium heat, add the olive oil, garlic powder, oregano leaves, and chili powder. Add water and chicken broth to the pot. 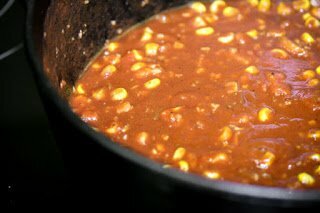 Boil and simmer for 5 to 10 minutes. Stir in the tomato powder. Let simmer for 5 minutes. Drop in freeze dried chicken, bell peppers, onions, cilantro, cheese, and corn. (The liquid will re-hydrate the vegetables and chicken leaving no need to re-hydrate them separately.) Stir the chicken base into the soup. Allow it to simmer for 10 minutes. Add the tortilla strips (or not). **Side note** This didn't last long in the office. It was gone within minutes of being ready.You'll have tons of questions about the recipe (😏).